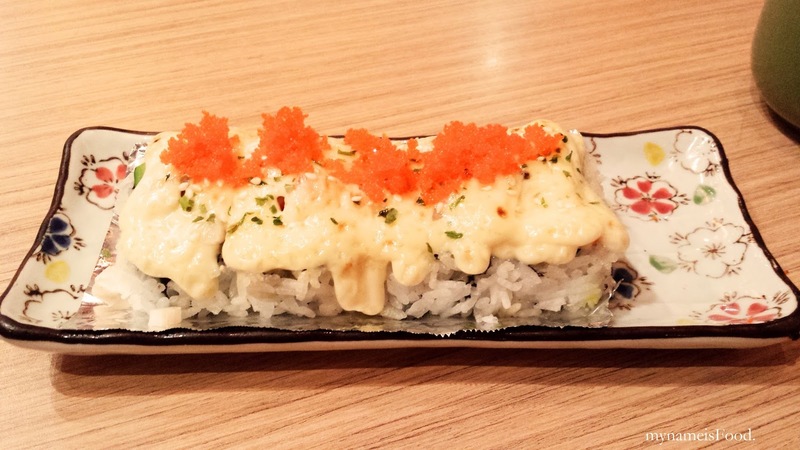 Sushi Tei, Galaxy Mall, Surabaya, Indonesia - my name is Food. 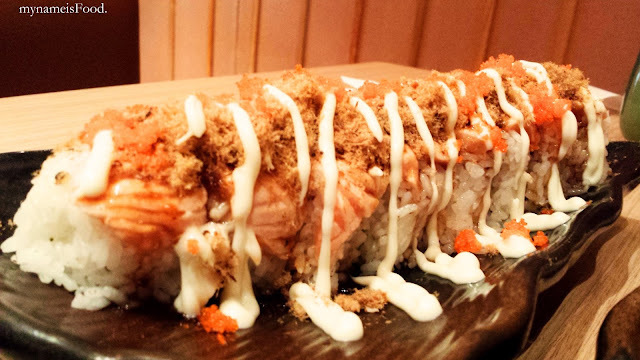 'Aburi Salmon Roll' (IDR70k - AUD$7) was filled with crab meat, soft shell crab sushi topped with aburi salmon and pork floss, drizzled with mayonnaise. The filling of the crab meat and soft shell crab was very limited, what you could taste more were the Abury Salmon and pork floss which were on top of the rolls. It had a nice combination within the different elements, however, it was not good enough. 'Crunchy Lobster Roll' (IDR29k - AUD$2.9) has a crispy lobster filling with a caviar lobster salad mayonnaise on top. The filling was cold, although it says crispy but it was not, it was rather rubbery and cold. The mayo was refreshing but made the whole dish just simply cold, which it shouldn't have been. 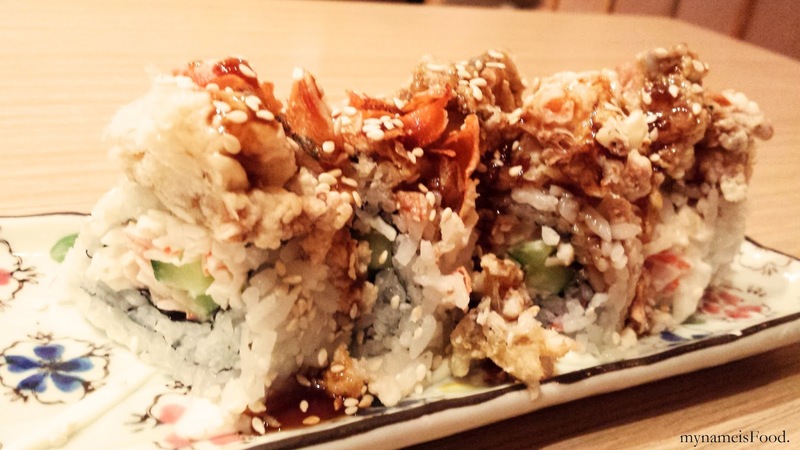 'Royal Soft Shell Crab Roll' had crab meat and cucumber filling topped with soft shell crab. Again, another cold dish. 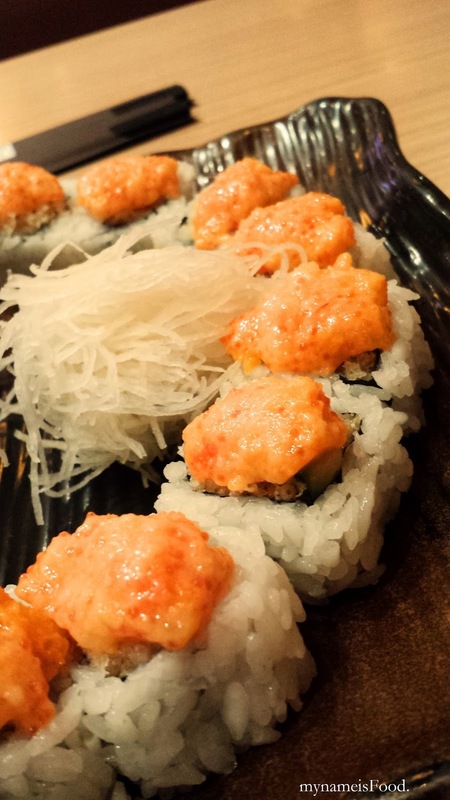 Yes, the crab meat and cucumber should be somewhat cold and had no problem with it other than the lack of sauce and marination with the crab meat inside. 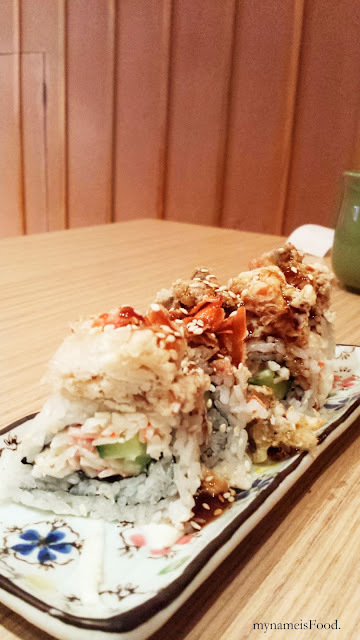 However, the soft shell crab on top of the sushi was cold, rubbery, not crispy at all. I'm guessing that they have left their soft shell crab on the table for a while, and uses it when someone orders it. However, before platting up a dish, even a simple dish, I think a chef should always check and double check before the dish is brought out to see if the hot dish is hot or the cold dish is cold, not a hot dish coming out cold. It was quite hard to chew a cold fried soft shell crab, just imagine, eating cold chips, cold tempura, cold fried chicken, would you like it? would you enjoy it? 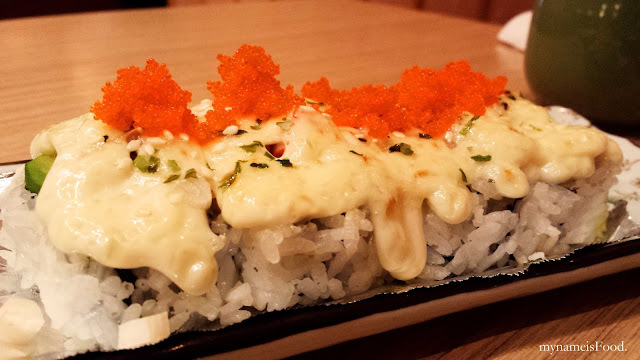 would you find it hard to even bite through it, to even chew it..
'Dynamite Roll' (IDR48k - AUD$4.8) is filled with crab meat, prawn, scallops and avocado topped with a cheesy mayonnaise and caviar. Baked sushi, this is probably the only one like it. However, though not as dissapointed as the previous sushi(s) we ordered, it was rather abit dissapointing with it not being baked long enough, or maybe they only microwaved it, not sure about that. 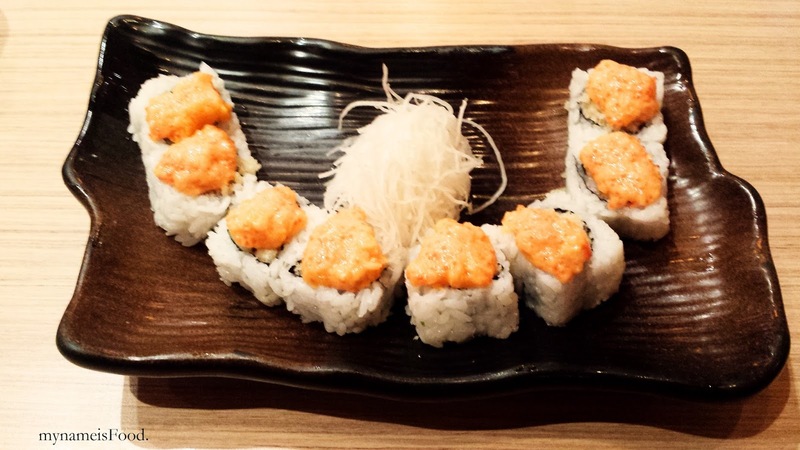 There were about 6 pieces, a good portion of sushi to share. It could have been warmer than it was.. 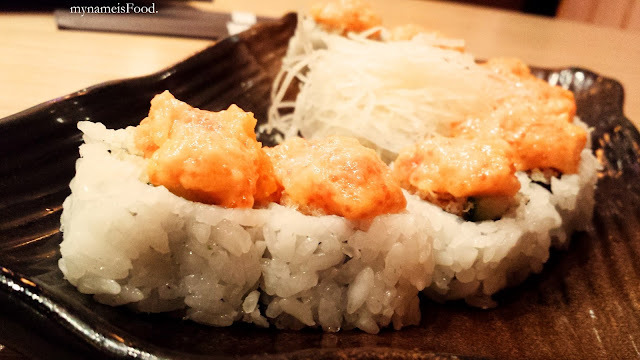 I do think Sushi Tei should get their game up, because I have dined here before, same place and the sushi weren't as bad. However, another time, it was rather disappointing.